I met Dr. Ingrid Visser at the Ocean Futures Society (OFS) display on the main level of the Portola Hotel, where the festival was held. She and Jean-Michel Cousteau were talking animatedly, and they invited me into the discussion. Ingrid handed me literature about FREE MORGAN, an international campaign to return a rehabilitated orca to the wild. Thinking of a similar action a few years back involving an orca named Keiko that Jean-Michel had spent four years freeing from captivity (made famous in the movie Free Willie), I wanted more information, so we sat and talked. Or, more specifically, Ingrid talked and I listened as she excitedly revealed another example of man’s betrayal of an animal in the pursuit of profit. I learned that on June 23, 2010, Morgan (as she was later named) was captured and taken from the ocean. While she had become separated from her orca family, she was not sick, but severely malnourished. Her captor was a Dutch aquarium which had a permit to take her, as long as she was rehabilitated and returned to the North Atlantic as soon as possible. Taken to the Dolfinarium in the Netherlands, her release did not happen and a Dutch judge ordered her to be sent to Loro Parque, an “amusement” park on the Spanish island of Tenerife, in the Canary Islands. Since then, an international effort called “Free Morgan,” comprised of orca experts, including the world’s foremost marine mammal scientists, strives to gain her release from Loro Parque and her return to her pod, which has been identified and located in the North Atlantic. 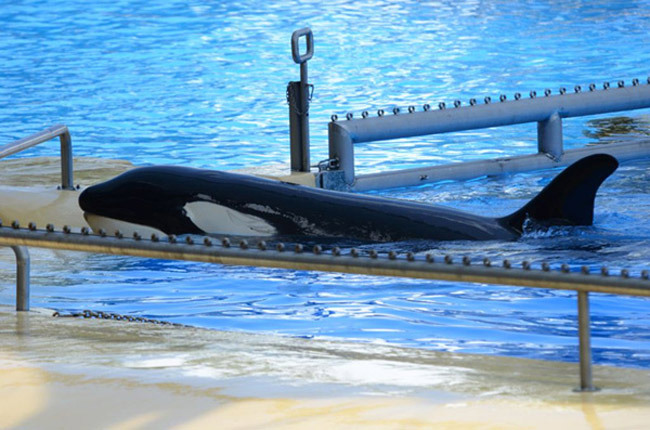 Legal proceedings are underway and at 9 a.m. next Thursday, November 1, 2012, a three-judge court in Amsterdam will hear Morgan’s case to determine the legality of the Dolfinarium’s refusal to release Morgan and her subsequent shipment to Tenerife. Hopefully, sufficient expert testimony has been given to persuade the judges to correct this wrong. 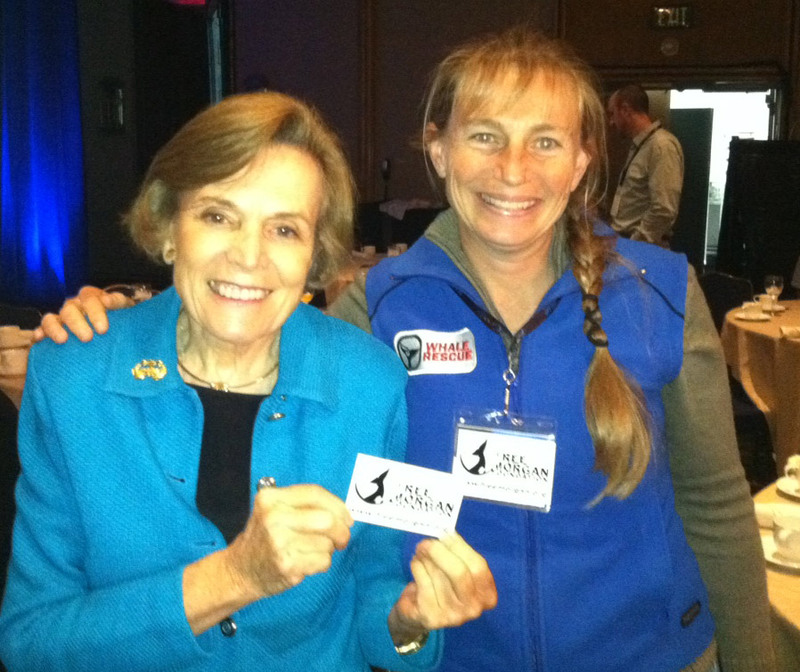 Dr. Sylvia Earle, one of the most highly respected ocean scientists and explorers of all time, also gave her support to the Free Morgan movement. In a public address, and privately in smaller groups, she spoke passionately about the importance of everyone working to gain Morgan’s release and return to her pod. It is important for those concerned by the treatment of an animal, which is now healthy and able to be returned to her life in the wild, to contact the Dutch authorities to add their voices in support of Morgan’s freedom. One person who can be reached in the Dutch government is Hinderk Bleker, State Secretary for the Ministry of Economic Affairs, Agriculture and Innovation. His email address is h.bleker@minlnv.nl. I have sent my email to Minister Bleker and I encourage you to speak your mind, also. Morgan needs all the help she can muster to set her free, where she belongs, in the ocean with her family. Until next time, be well and do something positive to help the nature we love so our future generations can enjoy it, as well. Frank Gromling is the owner of Ocean Publishing in Flagler Beach. Reach him by email here. In future weeks, Frank’s column will continue to appear from time to time, but not on a weekly schedule. Absolutely. The days of holding animals in slavish captivity for the entertainment of humans needs to end. It is archaic and unforgivable. But the truth is, the minions flocking to places like Seaworld do not care nor want to know the truth. You lied Netherlands. She has recovered , now set her free. Dont keep her prisoner just for YOUR benifit! I hope we see an update as info becomes available. What an incredible tragedy. Someone needs to get Greenpeace or Chuck Norris involved.